For the university system, see Texas State University System. Texas State University is a public research university located in San Marcos, Texas, United States. Established in 1899 as the Southwest Texas State Normal School, it opened in 1903 to 303 students. Since that time it has grown into the largest institution in the Texas State University System and the fifth-largest university in the state of Texas with an enrollment of over 38,000 students for the 2017 fall semester. It has 10 colleges and about 50 schools and departments. Texas State is classified as a research university with higher research activity by the Carnegie Foundation for the Advancement of Teaching and an emerging research university by the State of Texas. The university is accredited by the Southern Association of Colleges and Schools (SACS). Faculty from the various colleges have consistently been granted Fulbright Scholarships resulting in Texas State being recognized as one of the top producing universities of Fulbright Scholars. 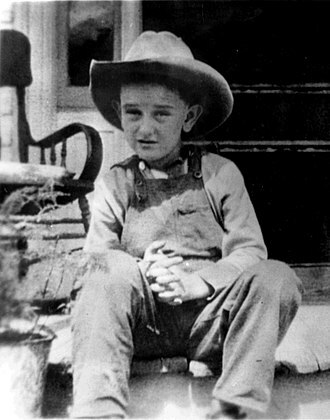 The 36th President of the United States, Lyndon B. Johnson, graduated from the institution in 1930. Texas State's main campus consists of 245 buildings on 492 acres (1.99 km2) of hilly land along the San Marcos River. Additionally, it has a satellite campus at the Texas State University Round Rock Campus (RRC) in the greater north Austin area. The university operates the Science, Technology and Advanced Research (STAR) Park, a technology commercialization and applied research facility. The Forensic Anthropology Center at Texas State is the largest forensics research facility in the world. Texas State University's intercollegiate sports teams, commonly known as the Bobcats, compete in National Collegiate Athletic Association (NCAA) Division I and the Sun Belt Conference. The Southwest Texas State Normal School was proposed in a March 3, 1899, bill by State Representative Fred Cocke. Cocke represented the citizens of Hays and surrounding counties where the school was to be located. While there was opposition to the bill, with the support of State Senator J.B. Dibrell, it was finally passed and signed into law on May 10, 1899, by Governor Joseph D. Sayers. The school's purpose was to provide manual training and teach domestic sciences and agriculture. Any students earning a diploma and teaching certificate from the school would be authorized to teach in the state's public schools. In October 1899, the San Marcos City Council voted to donate 11 acres (45,000 m2) of land at what was known as Chautauqua Hill for the school to be built on. It was not until 1901 that the Texas legislature accepted this donation and approved $25,000 to be used for construction of buildings on the site. The building now known as Old Main was completed and the school opened its doors to its first enrollment of 303 students in September 1903. The college enrolled its first African American students in 1963, following a federal lawsuit brought by Dana Smith, who became one of the first five African Americans at the institution when a district court judge ruled that they could not be denied admission based on race. On November 8, 1965, the school's most famous alumnus, United States President Lyndon B. Johnson, returned to his alma mater to sign the Higher Education Act of 1965, which was part of his Great Society. In a speech, held in Strahan Coliseum on the school's campus, prior to signing the bill, he recounted his own difficulties affording to go to college: having to shower and shave in the school's gymnasium, living above a faculty member's garage, and working multiple jobs. The campus has grown substantially from its original 11 acres in 1899. During the first 40 years of the school's history, the campus was expanded to accommodate 18 buildings around the original Main Building. These buildings included academic buildings, a library, buildings to house the San Marcos school students, dormitories, a dining hall, and men's and women's gymnasiums. :18–31 In 1926, 90 acres of land adjacent to the San Marcos River was purchased by A. B. Rogers to build a hotel, glass-bottom boat rides and other water-based attractions to become the Aquarena Springs theme park. The university bought the property in 1994 intending to use the land as a research and education center. In 2002, this piece of land became known as the River System Institute and offered educational tours including a wetlands boardwalk and continued to offer glass-bottom boat rides. In 1996, the school began offering courses in Round Rock, Texas on the campus of Westwood High School. It originally offered night classes that allowed students to earn graduate degrees in Business Administration and Education. As enrollment in these programs increased and with a gift of 101 acres (0.41 km2), the Texas State University Round Rock Campus was constructed and opened in 2005. The school has been through a number of name changes since its opening. The first change occurred after the Board of Regents, in 1916, approved the school to start granting degrees and became a senior college. It then became known as Southwest Texas State Normal College in 1918.:8:55 In 1921, there was a desire to improve academic standards of normal schools in Texas to more closely meet the requirements of the University of Texas at Austin. :60 These changes resulted in the school's second name change, in 1923, when the Texas Legislature renamed the school to Southwest Texas State Teachers College. :40 The state legislature approved another name change for the school and became known as the Southwest Texas State College on September 1, 1959. Ten years later, in 1969, the Texas Legislature again changed the school's name, this time to Southwest Texas State University. 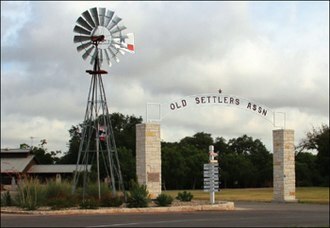 In 2003, the school's then, Associated Student Government (ASG), approached State Senator Jeff Wentworth requesting that the school be renamed Texas State University at San Marcos. The ASG had unanimously approved a resolution supporting the name change citing 20 reasons for the change, including that the current name reflected too much regionalism for a university attempting to reach top-tier status. The ASG further said that donations from the school's alumni would go to implementing the name change so that state tax dollars would not be required. Students and alumni protested the change, saying no vote was taken on the matter. A bill, sponsored by Senator Wentworth, was passed and on September 1, 2003, the school officially became known as Texas State University–San Marcos. The city was originally included in the name to differentiate from other schools in the Texas State University System who were, at the time, expected to change their names to Texas State University (e.g. Texas State University–Lamar, Texas State University–Sam Houston, Texas State University–San Angelo). With those name changes not occurring and Texas State expanding with a campus in Round Rock a request was made, in 2013, to remove the city from the school's name. A bill to change the school's name was passed by the Eighty-third Texas Legislature and was signed by Governor Rick Perry. The name was officially changed on September 1, 2013. The Texas State University main campus is located in San Marcos, Texas, midway between Austin and San Antonio along Interstate 35. It spans 492 acres (1.99 km2), including the original land donated by the city of San Marcos consisting of Chautauqua Hill which Old Main still sits atop. Other parts of the Texas State property including farm and ranch land, residential, recreational areas and commercial incubators cover more than 5,038 acres (20.39 km2) of additional land. On the eastern end of campus is Sewell Park, which is on the banks of the spring-fed San Marcos River. The river bank, leased by the U.S. Bureau of Fisheries, was built up from the river bottom by university workers. 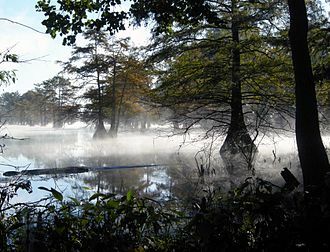 Initially named Riverside Park, it was later renamed Sewell Park in 1946 in honor of Dr. S. M. "Froggy" Sewell, a mathematics professor who helped form the park. The Quad is the heart of campus because it is surrounded by the majority of the academic buildings on campus and the bus loop where most of the university bus routes stop on campus. Since many students pass through the quad, it is the primary gathering place for student organizations to man booths and tables promoting fundraisers and events. The west end of the Quad has a 17-foot high aluminum sculpture of two horses, called The Fighting Stallions. This area is declared the University's free speech zone and was subject to one of the first court challenges to the creation of such zones after the suspension of ten students protesting the Vietnam War. The east end of the Quad goes up to the top of the highest hill on campus where the University's oldest building, Old Main, sits. The main campus in San Marcos served as the location of the fictional school TMU (Texas Methodist University) in the NBC TV series Friday Night Lights. Built in 1903 and originally called the Main Building, Old Main was the first building on the Texas State campus. The design was closely patterned to the Old Main Building of 1889 at Sam Houston State University, designed by Alfred Muller of Galveston. E. Northcraft was the engineer at that construction, and 14 years later built the Texas State University Main Building, in form as a red-gabled Victorian Gothic building. It was added to the National Register of Historic Places in 1983. In more than a century of use, and a number of renovations, the building has served many purposes from being the university's administration building to an auditorium and chapel to now housing the offices for the School of Journalism and Mass Communication as well as the College of Fine Arts and Communication. The university's library was named in 1991 for an alumnus, Albert B. Alkek, who became an oilman, rancher, and philanthropist. The Albert B. Alkek Library serves as the main, central academic library supporting the Texas State University community. It is a "select depository" for United States and Texas government documents, receiving a large number of government publications from the state and 60% of all federal publications. 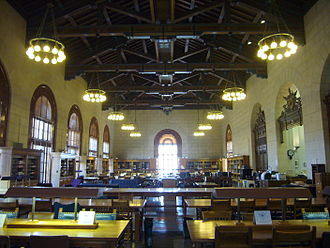 The library also encompasses niche collections and papers including the Wittliff collections, the largest US repository of contemporary Mexican photography, the King of the Hill archives, major works of Cormac McCarthy and Sam Shepard, and the Lonesome Dove miniseries collection. Then Presidential hopeful Barack Obama on a campaign stop at Sewell Park in 2008. Sewell Park is a park located on the Texas State University campus along the San Marcos River in San Marcos, Texas. The park neighbors City Park, the San Marcos Mill Tract and Strahan Coliseum. It was opened in 1917 by the university, then known as Southwest Texas State Normal School, and was called Riverside Park. The land was owned by the U.S. Bureau of Fisheries and leased to the school. It was originally used by students to learn how to swim and for general recreation. In its formation, mud from the river bottom was removed to build up the banks. In 1949 the park was renamed to Sewell Park in honor of mathematics professor S.M. 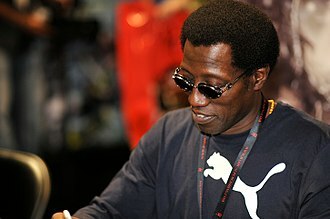 Sewell. In February 2008, over 15,000 people gathered in Sewell Park to attend a rally for U.S. presidential candidate Barack Obama. A long time fixture of Sewell Park, local legend Dan Barry better known as "Frisbee Dan" can be seen on just about any sunny day of the year tossing his frisbee and keeping a watchful eye on the park. The Round Rock Campus (RRC) is a campus of Texas State University that is located in Round Rock, Texas, located 20 miles (32 km) north of Austin. Texas State University Round Rock Campus, previously known as the Round Rock Higher Education Center (RRHEC), was established in 1996 with just a few classes and grew rapidly. By 2004, the 15 temporary buildings in a lot adjacent to Westwood High School were full to capacity. In 2003, the Avery family of Round Rock donated 101 acres in northeast Round Rock to allow the former RRHEC to create its own campus. Construction of the Avery Building began in 2004, and the building opened its doors on August 26, 2005. 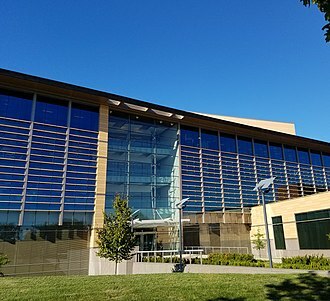 The 125,000-square-foot Avery Building was designed to offer instruction and student support in one building. It includes classrooms, labs, offices, and a library. In 2010 the Round Rock Campus opened the 77,740-square-foot, three-story Nursing Building. The St. David's School of Nursing admitted the first class of junior-level nursing majors in the fall 2010 semester. Ground Breaking for the Health Professions Building addition to the Texas State Round Rock Campus is May 2016. The Round Rock Campus offers the junior and senior level classes to complete a bachelor's degree as well as graduate degrees, post baccalaureate certification and continuing education programs. Students can complete their first two years (freshman and sophomore level classes) at the Texas State University San Marcos campus, any community college, or transfer to the RRC from another school. Courses at the RRC are offered at convenient times close to where students live and work. Students who complete their degree requirements at the Round Rock Campus earn their degrees from Texas State University. As of the fall 2018 semester, Texas State University had a total enrollment of 38,694. This follows a trend of record enrollment numbers over several years. Of the student body, 31,032 are undergraduate students with the remaining 4,536 students being post-baccalaureate or graduate students. The university accepted 57.6% of freshmen applicants who applied to attend the fall 2012 semester. This includes the guaranteed acceptance of any Texas high school graduate with a grade point average that ranked them in the top 10% of their high school class. Between 61% and 64% of undergraduate students earn their degree after six years. Hispanic students made up 30% of the student body in 2013, which increased to 32% in 2014, qualifying the University to be designated as a Hispanic-serving institution. Additionally, the student body consists of approximately 55% female students, 80% students who live off-campus, and only 10% students who are members of a fraternity or sorority. Texas State University is ranked as a National University by U.S. News & World Report as of 2018[update]. The Princeton Review has also ranked Texas State as one of America's Best Value Colleges. The university also has the distinction of being the 13th best four-year school for veterans according to Military Times EDGE magazine. Washington Monthly ranks Texas State as 176th in the nation. The University's School of Social Work has been listed 7th in a ranking of top colleges for online social work programs. Poets & Writers has ranked the Master of Fine Arts program as 45th in the nation. The College of Education is ranked 140th in the nation by U.S. News & World Report, tied with Drake University, the University of Akron and others. The Department of Theatre and Dance was ranked No. 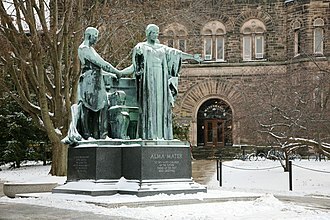 9 in the country by best-art-colleges.com for their bachelor's and master's degrees in 8 art programs. In the 2019 edition of the U.S. News & World Report ranking of the Best Global Universities Texas State University ranked 1249 out of 1250. Texas State University offers degrees in 97 bachelor programs, 88 master programs and 12 doctoral programs. The university has been accredited by the Southern Association of Colleges and Schools since 1925 and had its last review in 2010. In January 2012, Texas State University was designated an emerging research university by the Texas Higher Education Coordinating Board. To achieve this status a university must spend at least $14 million in its research endeavors and either offer at least 10 doctoral degrees or have at least 150 enrolled doctoral students. At the time of being designated as an emerging research university, Texas State was spending almost $33.5 million on research and had 400 students enrolled among its 12 doctoral programs. This classification places the university at the same level as the University of Texas at El Paso and the University of Texas at San Antonio. One of Texas State's facilities includes its Center for Research Commercialization that was approved by the Texas State University System Regents in May 2011 with a focus on environmental sustainability and biotechnology. The facility is funded through multiple grants including $1.8 million from the U.S. Economic Development Administration and $4.2 million from the Texas Emerging Technology Fund. The facility will serve as a location for university faculty to perform advanced research and to commercialize that research into startup companies. The Forensic Anthropology Center at Texas State is one of seven extant human decomposition research facilities (body farms) in the United States. It is the largest such forensics research facility in the world. In August 2012, Texas State's River Systems Institute was renamed The Meadows Center for Water and the Environment. This name change was the result of donations totaling $5 million from The Meadows Foundation in Dallas, Texas. The university plans on earning a total of $10 million from The Meadows Foundation and other sources for the center to study interactions between water and the overall environment. These studies include an examination of springs, drought and their effects on public water supplies. The center was founded in 2002 with funding, in part, from The Meadows Foundation. Since that time it has focused its research on the San Marcos Springs and Spring Lake, the second largest spring in the Southwest United States. Faculty from the various college have consistently been awarded Fulbright Scholar grants resulting in Texas State's being recognized as one of the top producing universities of Fulbright Scholars. Approximately 20% of Texas State students live in on-campus or in university-owned housing including about 95% of freshman students. Beginning in August 2012, there were approximately 6,353 beds in a variety of housing options including traditional dorms and apartment-style housing offered by the university. Texas State University has more than 300 student organizations registered with its Student Involvement department. These organizations include Greek organizations, academic groups, honors societies, service groups, sports clubs, and common interest groups. Texas State has more than 30 fraternities and sororities, including 13 fraternities from the North-American Interfraternity Conference, 9 from the historically African-American National Pan-Hellenic Council, 8 sororities from the National Panhellenic Conference, and 9 multicultural fraternities and sororities from the National Multicultural Greek Council. After the death of a Phi Kappa Psi pledge in November 2017, Texas State University halted all Greek life activities. Greek life activites resumed in March 2018, following a restructure of the university's Greek system. The Bobcat Marching Band is the collegiate marching band of Texas State University. Nicknamed "The Pride of the Hill Country," the band began in 1919 as a casual association of student musicians on campus. It later evolved into a formal organization that performs at Texas State football games, NFL football games, professional soccer games, two presidential inaugurations, and a number of Hollywood movies and marching band oriented videos. The school's student government is an organization of both undergraduate and graduate students who represent student's interests with the university administration. Student government has dealt with issues including concealed carry on campus and the University's anti-tobacco policy. Student Government also administers a scholarship fund that any Texas State student can apply to earn. A number of honors societies exists on campus including Golden Key and the Alpha Chi National College Honor Society. Texas State was a charter member of Alpha Chi when it was created as the Scholarship Societies of the South in 1927.:47 Texas State also has an active chapter of Alpha Phi Omega, National Service Fraternity. The Texas State Strutters are a precision dance team formed in 1960, the first of its kind at a four-year institution in the United States. The group performs to a variety of music including high kick, jazz, funk, and hip hop. The Strutters have performed nationally and internationally in 26 countries spanning 4 continents. Performances include two presidential inaugural parades, two Macy's Thanksgiving Day Parades, several NBA and NFL halftime shows, and America's Got Talent. They are the first university dance team to be invited to the People's Republic of China. Bobcat Build is a yearly community service event that began in 2001 and is the largest such event run by students at the university. Based upon Texas A&M University's "The Big Event", it allows student organizations and individual Texas State students to sign up to perform service projects throughout the San Marcos community. The event has received recognition from state and national politicians including former State Representative Patrick Rose and U.S. Representative Lloyd Doggett. The oldest form of student media at Texas State was a yearbook originally called the Pedagogue and later renamed the Pedagog. It was first published in 1904 and served to record each year's events through photographs and articles. It was temporarily discontinued in 1975 due to a combination of the cost to publish the annual and a lack of student interest. It was published again in 1978 as part of the school's seventy-fifth anniversary. In 1984 it resumed regular publication. However, it was last published in 2000 after university committees recommended replacing the printed yearbook with a video disk containing the same contents. The annual has since been discontinued entirely. Now called the University Star, it publishes coverage of the college's news, trends, opinions and sports. The newspaper is published on Tuesdays, Wednesdays and Thursdays while classes are in session in the fall and spring semesters. The paper is published five times during the summer. The Star has a web site which contains videos, blogs and podcasts in addition to the articles that are published in the print version of the paper. The Star and its staff have received awards including merits from Hearst Journalism, the Texas Intercollegiate Press Association and the Society of Professional Journalists. Located in the Trinity Building, Texas State's FM radio station, KTSW, broadcasts at 89.9 MHz and provides sports coverage of Texas State Athletics and independent music. The KTSW website provides live-streaming broadcasts, and the Texas State television channel employs KTSW broadcasts as background music. KTSW's morning show, Orange Juice and Biscuits, gained recognition in 2007 for being a finalist in Collegiate Broadcasters Inc.'s "Best Regularly Scheduled Program" award. In October 2008, as it was among Austin360.com's top ten-rated morning radio shows. Texas State currently competes at the NCAA Division I level and are members of the Sun Belt Conference. Texas State teams and athletes from multiple sports have won national and regional championships as well as medalists in the Olympic Games. In 1920, Texas State adopted its first official mascot, the bobcat, at the urging of Oscar Strahan, who became the school's athletic director in 1919. Strahan suggested the bobcat because the cat is native to central Texas and is known for its ferocity. The bobcat did not get a name until 1964. At that time, Beth Greenlees won the Name the Bobcat contest with the name Boko the Bobcat. The athletic logo, or spirit mark, is referred to as the SuperCat logo. The current version of the logo was designed by a student in 2003. In August 2009, Texas State refined the logo with the addition of the Texas State lettering. A thirteen-year rivalry with Nicholls State University ended with the 2011 football season. It began in 1998 when the annual football game between the two schools was at first cancelled due to severe flooding in San Marcos, where the game was to be played. The athletic directors and coaches later decided to postpone the game from October to November. To remember those affected by the floods, including some people who had died in it, a wooden oar was made with each school's colors and initials. The winning school would take possession of the oar for the next year and have the score inscribed on it. This rivalry became known as the Battle for the Paddle. The oar was last traded in 2010 when Nicholls State received it following 47-44 win over Texas State after four overtimes. Prior to the schools' meeting in 2011, Rob Bernardi, the Athletic Director for Nicholls State, said that they would not be bringing the oar to San Marcos and would leave it on display in the Nicholls State athletic offices. Due to Texas State changing conferences, Bernardi said it was unlikely that the schools will face each other in football again and that the rivalry was ending. The rivalry with the University of Texas at San Antonio (UTSA) is dubbed the I-35 Showdown for the interstate highway that links San Marcos and San Antonio. A trophy consisting of an Interstate Highway 35 sign was originally given to the winner of the men's basketball game, but that tradition has been expanded to all sporting events between the two schools. Even though the two schools will be moving to different athletic conferences in 2013, Texas State Athletics Director Larry Ties expressed hope that the potential rivalry will still occur. 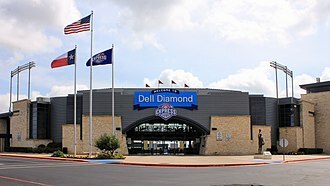 Texas State's only in-state Sun Belt conference rival is the University of Texas at Arlington (UT Arlington). The rivalry never ceased as both schools moved from the Southland Conference to the Western Athletic Conference then on to the Sun Belt Conference. In the summer of 2007, University President Denise Trauth created the Athletic Strategic Planning Committee with the purpose of evaluating a move for the football team to go to the Football Bowl Subdivision (FBS). The committee released its final report in November 2007 which included a series of tasks that would need to be completed to make the move. The university called its efforts The Drive to FBS. Following the release of the committee's report, the university's Associated Student Government passed a bill for a student referendum to be held the following spring to obtain the student body's endorsement of an increase in fees to help pay for the move to the FBS. In February 2008, almost 80% of the students who voted in the referendum, approved a raise in the athletics fee by $10 over the next five years. Another set of milestones for The Drive involved improvements to Texas State's football stadium, Bobcat Stadium. Three phases of construction were completed to double the seating capacity of the stadium to almost 30,000, add luxury boxes, improvements to the press box, and replace the visitors' locker room. Texas State University's most notable alumnus is U.S. President Lyndon B. Johnson. Johnson attended the university, then known as the Southwest Texas State Teachers College, from 1926 until 1930 when he earned his Bachelor of Science degree. As a student, Johnson participated on the debate team and was an editor for the student newspaper, then known as the College Star. As of the 2016 elections, Johnson remains the only U.S. President who graduated from a university in the state of Texas. Another notable alum is Grammy Award-winning American country music singer George Strait. Strait graduated in 1979 from the university, then known as Southwest Texas State University, with a Bachelor of Science in agriculture. As a student, Strait performed his first show with the Ace in the Hole Band at Cheatham Street Warehouse in San Marcos. In 2006, Strait was given an honorary Doctor of Humane Letters by University President Denise Trauth. Other notable alumni include: General Robert L. Rutherford, United States Air Force; writer and Academy Award nominee Kim Krizan; Texas country singer Randy Rogers of the Randy Rogers Band; Texas country singer Troy Wayne Delco of THE BEAUMONTS; ATP Oil and Gas Chairman and Chief Executive Officer T. Paul Bulmahn; musician Scott H. Biram; actor Powers Boothe; writer Tomás Rivera; Texas State Representative Alfred P.C. Petsch; columnist "Heloise" (Ponce Cruse Evans); mathematician and former president of the American Mathematical Society R. H. Bing; St. Louis Cardinals first baseman Paul Goldschmidt; and military historian Alan C. Carey. ^ "Texas State University: Best Colleges". US News & World Report. ^ a b c "Texas State September 19, 2016 News Release". Retrieved 19 September 2016. ^ a b "Fulbright US Scholar Directory". Council for International Exchange of Scholars. 2011–2012. Archived from the original on December 16, 2011. Retrieved January 14, 2012. "Fulbright US Scholar Directory". Council for International Exchange of Scholars. 2010–2011. Archived from the original on December 16, 2011. Retrieved January 14, 2012. "Fulbright US Scholar Directory". Council for International Exchange of Scholars. 2009–2010. Archived from the original on June 28, 2012. Retrieved January 14, 2012. "Fulbright US Scholar Directory". Council for International Exchange of Scholars. 2008–2009. Archived from the original on May 26, 2009. Retrieved January 14, 2012. "Fulbright US Scholar Directory". Council for International Exchange of Scholars. 2007–2008. Archived from the original on October 23, 2011. Retrieved January 14, 2012. "Fulbright US Scholar Directory". Council for International Exchange of Scholars. 2006–2007. Archived from the original on October 23, 2011. Retrieved January 14, 2012. "Fulbright US Scholar Directory". Council for International Exchange of Scholars. 2005–2006. Archived from the original on June 28, 2012. Retrieved January 14, 2012. "Fulbright US Scholar Directory". Council for International Exchange of Scholars. 2004–2005. Archived from the original on February 24, 2012. Retrieved January 14, 2012. ^ a b Rollins, Brad (October 21, 2009). "Texas State recognized as among top producers of Fulbright students". San Marcos Mercury. Retrieved January 14, 2012. ^ a b "Texas State recognized as Fulbright leader". San Marcos Mercury. November 23, 2010. Retrieved January 14, 2012. ^ a b Steinberg, R.U.. "Listening to the Bones", The Austin Chronicle, Austin, 4 April 2008. Retrieved on 31 May 2013. ^ a b c d "Fifty Years of Teacher Education: A Brief History of Southwest Texas State Teachers College, San Marcos, Texas, 1901–1951". Journalism and Mass Communication, School of. pp. 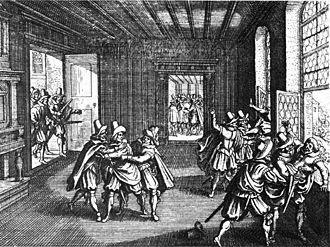 2–3. Retrieved December 14, 2011. ^ Blanton, Annie Webb; Marrs, S. M. N. (January 1922). The Public School Laws of the State of Texas. The Department of Education, State of Texas. p. 203. ISBN 1-151-06900-0. Retrieved December 14, 2011. ^ a b c "Texas State University". Handbook of Texas Online. Texas State Historical Association. March 11, 2014. Retrieved December 14, 2011. ^ a b c d French, Roger Franklin (August 1939). A History of Southwest Texas State Teachers College (PDF) (Master of Arts thesis). San Marcos, Texas: Southwest Texas State Teachers College. Retrieved June 8, 2012. ^ Barnett, Marissa (April 30, 2014). "Texas State University to honor five African-Americans who integrated campus in 1963". Austin American-Statesman. Retrieved May 25, 2015. ^ "Regents agree to statue honoring LBJ at Texas State" (Press release). Texas State University. August 26, 2005. Retrieved April 1, 2009. ^ "Johnson signs legislation into law". LBJ Library and Museum. Archived from the original on July 14, 2007. Retrieved October 23, 2009. ^ Hickey, Joan Inman (2011). Learning from the Past, Planning for the Future: A Geographic History of San Marcos, Texas and Texas State University-San Marcos (Master's thesis). Texas State University-San Marcos. p. 15. Retrieved June 8, 2012. ^ Brown, Ronald C. (1979). Beacon on the Hill: Southwest Texas State University, 1903-1978. Faculty Publications-University College, Texas State University-San Marcos. ^ "Bill filed today to change Southwest Texas State University's name" (Press release). Office of State Senator Jeff Wentworth. March 6, 2003. Archived from the original on January 19, 2012. Retrieved December 14, 2011. ^ Reinhart, Diana (May 3, 2003). "A shock to the system". Beaumont Enterprise. Retrieved April 22, 2015. ^ Parker, Kolten (April 11, 2013). "Texas State University to shed San Marcos". San Antonio Express News. Retrieved May 5, 2013. ^ Wiggins, Mark (May 13, 2013). "Euthanasia, cyber security measures among 35 bills signed by governor so far". KVUE TV. Archived from the original on June 15, 2013. Retrieved May 14, 2013. ^ a b "Texas State Facts". Institutional Research, Texas State University. January 22, 2009. Retrieved April 1, 2009. ^ "Sewell Park". Texas State University. Retrieved April 1, 2009. ^ "Traditions - Quad". Texas State University. Retrieved September 8, 2009. ^ "The Fighting Stallions, (sculpture)". Art Inventories Catalog. Retrieved December 30, 2011. ^ Allen, David S. (June 2011). "From Parks to Free Speech Zones: Spatial Frameworks and the Regulation of American Dissent in Public Space" (PDF). Twenty-First Century Papers. Retrieved December 30, 2011. ^ Bayless v. Martine , 430 F 2d 873 (1970). ^ "Lights, Camera & Action". txstatebobcats.com. April 7, 2007. Retrieved April 1, 2009. ^ "Southwestern Historical Quarterly" (PDF). The Texas State Historical Association. April 1974. p. 465. Retrieved June 5, 2009. ^ "National Register Information System". National Register of Historic Places. Archived from the original on December 4, 2010. Retrieved June 3, 2012. ^ "Old Main". Texas State University. Retrieved April 1, 2009. ^ "About the Library". Texas State University. Archived from the original on 2008-07-08. Retrieved April 1, 2009. ^ "Sewell Park". Texas State University-San Marcos. Retrieved June 8, 2012. ^ "Bachelor's Degrees: Round Rock Campus". Texas State University. Retrieved May 17, 2011. ^ "Master's Degrees: Round Rock Campus". Texas State University. Retrieved May 17, 2011. ^ "Certification and Continuing Education Programs: Round Rock Campus". Texas State University. Retrieved May 17, 2011. ^ a b Blaschke, Jayme (April 23, 2018). "exas State University enrollment reflects Texas demographics". Texas State University Office of Media Relations. Retrieved August 23, 2018. ^ "Updated: Corrected Texas State enrollment figures". San Marcos Daily Record. September 15, 2010. Retrieved January 13, 2012. ^ Texas State University By the Numbers 2012-2013. Texas State University Enrollment Management and Marketing. April 2013. ^ "Additional information for applicants". ApplyTexas.org. Retrieved January 13, 2012. ^ Kever, Jeannie (September 29, 2010). "Enrollment, diversity skyrocket at Texas colleges". Houston Chronicle. Retrieved January 13, 2012. ^ Ludwig, Melissa (September 19, 2010). "Enrollment, diversity on the rise at universities". San Antonio Express-News. Retrieved January 13, 2012. ^ a b "Texas State University". U.S. News & World Report. Retrieved 10 Mar 2018. ^ "America's Best Value Colleges by State". The Princeton Review. Archived from the original on January 11, 2012. Retrieved January 13, 2012. ^ "Best for Vets: Colleges 2011". Military Times Edge. Retrieved January 13, 2012. ^ "Texas State among top colleges for vets". KXAN. November 7, 2011. Archived from the original on November 9, 2011. Retrieved January 13, 2012. ^ "2018 College Guide and Rankings". Washington Monthly. Retrieved January 20, 2017. ^ "Top colleges for online social work programs for 2011–2012". TheBestColleges.org. Retrieved January 13, 2012. ^ "2012 MFA Rankings: The Top Fifty" (PDF). Poets & Writers. Retrieved January 13, 2012. ^ "Texas State University-San Marcos". U.S. News & World Report. Retrieved January 13, 2012. ^ "Schools Offering Performing Arts Programs". best-art-colleges.com. Retrieved September 13, 2015. ^ "About Texas State". Texas State University-San Marcos. Retrieved January 13, 2012. ^ "Member, Candidate and Applicant List" (PDF). Southern Association of College and Schools. August 2011. Archived from the original (PDF) on July 25, 2011. Retrieved January 13, 2012. ^ O'Rourke, Ciara (January 12, 2012). "Texas State designated as emerging research institution, opening door to research money". Austin American-Statesman. Archived from the original on January 15, 2012. Retrieved January 15, 2012. ^ "Regents approve technology commercialization center at Texas State". San Antonio Business Journal. May 23, 2011. Retrieved January 15, 2012. ^ "Texas State University jumps into commercialization". Austin Business Journal. August 13, 2010. Retrieved January 15, 2012. ^ George, Patrick (August 12, 2012). "Texas State University and City of San Marcos win $1.85M research development grant". Austin American-Statesman. Archived from the original on August 15, 2010. Retrieved January 15, 2012. 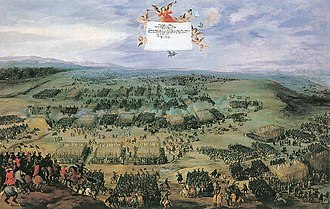 ^ Haurwitz, Ralph K.M. (August 24, 2012). "Texas State planning $10 million water-research center". Austin American-Statesman. Archived from the original on August 28, 2012. Retrieved August 24, 2012. ^ "Texas State University-San Marcos, Student Life". U.S. News & World Report. Retrieved January 19, 2012. ^ Rollins, Brad (August 24, 2011). "Trauth: Texas State faring well despite economy". San Marcos Mercury. Retrieved January 19, 2012. ^ "Texas State Halts Greek Activities After Fraternity Pledge Dies". The New York Times. ISSN 0362-4331. Retrieved 2017-11-22. ^ "History : University Bands". Texas State University–San Marcos. Archived from the original on May 29, 2010. Retrieved December 2, 2012. ^ Vega, Jackie (November 30, 2010). "TX State students back concealed carry". KXAN. Retrieved January 18, 2012. 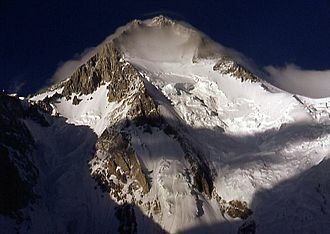 ^ Batura, Sean (August 1, 2011). "Texas State kicks-off tobacco-free policy". San Marcos Mercury. Retrieved January 18, 2012. ^ "ASG and University Bookstore Scholarship". Texas State University-San Marcos. Retrieved January 18, 2012. ^ "Golden Key International Honour Society Honor Society Chapters". Association of College Honor Societies. Retrieved January 18, 2012. ^ "Member Institutions". 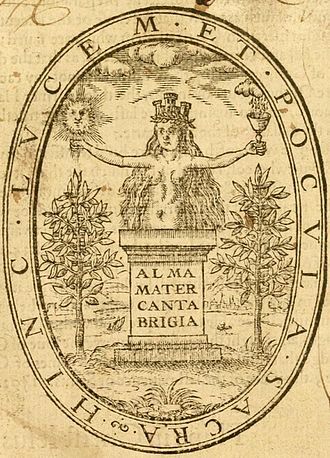 Alpha Chi National College Honor Society. Retrieved January 18, 2012. ^ Doelle, Blake. "Jerry and Linda Fields donated $250,000 to Strutters Commitment". San Marcos Mercury. Retrieved January 19, 2011. 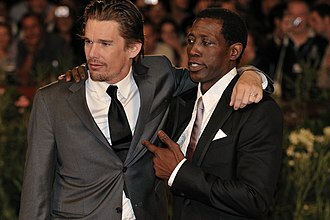 ^ Peterson, Bill (April 13, 2009). "Strutters to perform at Strahan Coliseum". San Marcos Mercury. Retrieved January 19, 2012. ^ "Strutters - History". Texas State Bobcats. Retrieved October 5, 2014. ^ "Strutters advance in 'America's Got Talent'". San Marcos Daily Record. July 31, 2008. Archived from the original on September 18, 2012. Retrieved January 19, 2012. ^ "Texas State Strutters To Perform At Macy's Thanksgiving Day Parade". KGNB 1420 AM. November 15, 2012. Retrieved November 22, 2012. ^ "Reconstructing Bobcat Build". San Marcos Daily Record. December 14, 2006. Retrieved January 18, 2012. ^ "Bobcat Build FAQ". Texas State University-San Marcos. Archived from the original on July 30, 2012. Retrieved January 18, 2012. ^ Doelle, Chris (April 4, 2008). "Bobcat Build this Saturday". San Marcos Mercury. Retrieved January 18, 2012. ^ Rollins, Brad (March 31, 2010). "Doggett congratulates Bobcat Build organizers". San Marcos Mercury. Retrieved January 18, 2012. ^ Brown, Ronald C.; David C. Nelson (1999). Up the Hill, Down the Years (PDF). The Donning Company Publishers. pp. 84–85. Retrieved June 29, 2012. ^ "Texas Newspapers". MondoNewspapers. Archived from the original on August 4, 2010. Retrieved August 4, 2010. ^ Wardwell, Sean (February 28, 2009). "Student photographer places in prestigious photojournalism competition". San Marcos Mercury. Retrieved January 15, 2012. ^ "A Congratulations To The University Star Staff". The University Star. March 28, 2010. Archived from the original on April 2, 2015. Retrieved January 15, 2012. ^ "SPJ announces 2010 Region 8 Mark of Excellence Award Winners" (Press release). Society of Professional Journalists. March 11, 2011. Retrieved January 15, 2012. ^ Lamb, Lauren (October 7, 2008). "KTSW morning show makes waves in Austin 360 poll" (Press release). University News Service. Retrieved September 15, 2009. ^ "Championships". Texas State Athletics. Retrieved March 14, 2012. ^ "Boko's History". Texas State University. Retrieved April 4, 2009. ^ "Office of University Marketing - Athletics". Texas State University-San Marcos. Retrieved March 14, 2012. ^ "Bobcat Logo". Texas State University. Retrieved September 16, 2009. ^ "Texas State Refines Athletics Mark". TxStateBobcats.com. August 12, 2009. Archived from the original on July 17, 2011. Retrieved September 16, 2009. ^ "Branding Standards and Graphic Identity Tool Kit" (PDF). Texas State University-San Marcos. p. 42. Retrieved March 14, 2012. ^ "Battle for the Paddle". Texas State University. Archived from the original on October 6, 2011. Retrieved September 21, 2011. ^ McElroy, Kelly (September 30, 2011). 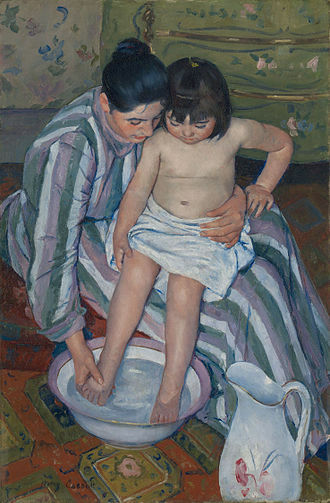 "Goodbye to the paddle". The Courier / HoumaToday.com. Retrieved March 14, 2012. ^ Briggs, Jerry (October 2, 2011). "Texas State paddles Nicholls State, 38-12". San Antonio Express News. Retrieved March 14, 2012. ^ "UTSA Jargon". University of Texas-San Antonio. Retrieved March 14, 2012. ^ "I-35 Maroon vs Orange Rivalry Series". Texas State University-San Marcos. Archived from the original on February 22, 2012. Retrieved March 14, 2012. ^ Brown, Josh (May 2, 2012). "Texas State to defect to Sun Belt as WAC unravels". The University Star. Archived from the original on December 12, 2012. Retrieved May 2, 2012. ^ Hendricks, Mark. "Texas State to host second public meeting on tailgating" (Press release). University News Service, Texas State University-San Marcos. Retrieved March 14, 2012. ^ Rollins, Brad (February 1, 2008). "With eye on the big time, Texas State considers move to next level in NCAA". San Marcos Mercury. Retrieved March 14, 2012. ^ Hendricks, Mark (February 13, 2008). "Texas State students approve increased athletics fee" (Press release). University News Service, Texas State University-San Marcos. Retrieved March 14, 2012. ^ Rosner, Mark (September 1, 2010). "Texas State unveils plans to expand Bobcat Stadium". Austin American Statesman. Retrieved March 14, 2012. ^ "Regents approve design for $33 million stadium expansion". San Marcos Mercury. February 14, 2011. Retrieved March 14, 2012. ^ "President Lyndon B. Johnson's Biography". 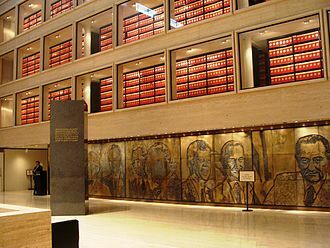 Lyndon Baines Johnson Library and Museum. Archived from the original on January 18, 2012. Retrieved March 16, 2012. ^ "The Student Editorials of Lyndon Baines Johnson". Texas State University-San Marcos. Retrieved March 16, 2012. ^ "LBJ Statue". Texas State University-San Marcos. Retrieved November 3, 2012. ^ "Cheatham Street Warehouse History". Cheatham Street Warehouse. Retrieved May 16, 2018. ^ "Strait Presented Honorary Doctorate". CMT News. May 30, 2006. Retrieved March 16, 2012. ^ "Country superstar Strait receives honorary doctorate" (Press release). Texas State University-San Marcos. 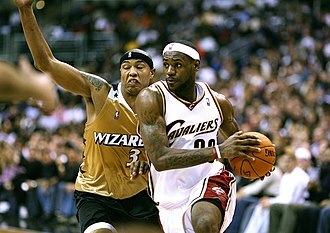 May 30, 2006. Retrieved March 16, 2012. ^ "Tomás Rivera Mexican American Children's Book Award Winners". Austin Public Library. Archived from the original on March 24, 2009. Retrieved April 4, 2009. ^ "Who Is Heloise?". Heloise Inc. Retrieved January 24, 2012. Visitors can take glass-bottomed boat tours of Spring Lake and view live native animals and fish in the Discovery Center. At Texas State University-San Marcos, the Meadows Center serves as a mechanism for the university’s multidisciplinary departments that are involved with aquatic resources. Texas State is home to departments and research centers engaged in critical scholarly work on water management issues. The Meadows Center at Spring Lake Hall houses the Texas Stream Team, the San Marcos Springs are the headwaters of the San Marcos River. Artifacts discovered in digs conducted from 1979 to 1982 date back 12,000 years, the first Europeans to visit the springs were probably Spanish explorers in 1689. The springs were an important stop on the Old San Antonio Road, in 1847, former Republic of Texas vice president Edward Burleson purchased the land surrounding the headwaters of the river and built a cabin on the hill overlooking the headwaters. Two years Burleson built a dam just below the springs to power a mill and this dam, which created Spring Lake, still exists today. A. B.
Rogers purchased the property in 1926 and his son, developed a hotel there in 1928, Spring Lake has been visited by notable individuals including Robert E. Lee, Jay Gould, and Helen Miller Shepard. In the 1950s, construction of a theater and large spillway at one end of the lake to produce a swimming pool led to the opening of Aquarena Springs. At its peak, Aquarena Springs attracted 250,000 visitors annually, the center added a Wetlands Boardwalk in a shallow area of Spring Lake. The boardwalk, made of recycled plastic lumber, floats on the water and circles a marshy area that showcases the flora, the San Marcos gambusia may be extinct as none have been seen since 1983. The main aim of the center is research, the MCWE participates in underwater archaeology. It searches for Henry Morgan’s lost fleet while exploring caves in Mexico, Spring Lake, the center uses unmanned aircraft to capture photos and gather information for projects related to fisheries and watershed management and restoration. Austin–Round Rock is a five-county metropolitan area in the U. S. state of Texas, as defined by the Office of Management and Budget. Commonly referred to as Greater Austin, the area is situated in Central Texas on the eastern edge of the American Southwest. Austin–Round Rock is the 35th largest metropolitan area in the United States, with a population over 2 million people, the metropolitan area is centered on the City of Austin—the fourth-largest city in Texas and the 11th-largest city in the United States with a population of 912,791 people. Austins largest suburbs are Round Rock, Cedar Park, Georgetown, as of 2013 the U. S. Office of Management and Budget defines the Austin–Round Rock MSA as including Bastrop, Hays and Williamson Counties. The U. S. Bureau of Economic Analysis includes the counties of Blanco, Lee, Mason, other counties in Central Texas included by some sources are Burleson and Gillespie Counties. The two largest cities in the area are Austin and Round Rock. Other large municipalities in the Austin–Round Rock–San Marcos MSA are, in order of size, Cedar Park, San Marcos, Pflugerville, there are over 4 million people in the San Antonio-Austin corridor. The areas in and around Austin have been the site of habitation since at least 9,000 B. C. The earliest known inhabitants of the area, during the late Pleistocene, during the 18th century they made the transition to a horse culture and used firearms to a limited extent. After they were crowded out by white settlement, the Comanches continued to raid settlements in the county until the 1860s. There appear to have small numbers of Kiowa, Tawakoni. The prehistory of Texas has been studied by professional and avocational archeologists for many decades. When Europeans first arrived in the area, the Tonkawa tribe was the most prevalent, though the Comanches, Spanish explorers, including the Espinosa-Olivares-Aguirre expedition, traveled through the area for centuries though few permanent settlements were created for some time. In the mid-18th century the San Xavier missions were established along the San Gabriel River in what is now western Milam County to facilitate exploration, in 1804 the fort Puesta del Colorado was established by the Spanish in what is now Bastrop. Texas State University is a public research university located in San Marcos, United States. Established in 1899 as the Southwest Texas State Normal School, it opened in 1903 to 303 students and it has 10 colleges and about 50 schools and departments, including nationally recognized programs in Geography, Criminal Justice and Music. Texas State is classified as a university with higher research activity by the Carnegie Foundation for the Advancement of Teaching. The university is accredited by the Southern Association of Colleges and Schools, faculty from the various college have consistently been given Fulbright Scholar grants resulting in Texas State being recognized as one of the top producing universities of Fulbright Scholars. The 36th President of the United States, Lyndon B, graduated from the institution in 1930. Texas States main campus consists of 245 buildings on 492 acres of land along the San Marcos River. The university operates the Science and Advanced Research Park, the Forensic Anthropology Center at Texas State is the largest forensics research facility in the world. Texas State Universitys intercollegiate sports teams, commonly known as the Bobcats, compete in National Collegiate Athletic Association Division I, the Southwest Texas State Normal School was proposed in a March 3,1899, bill by State Representative Fred Cocke. Cocke represented the citizens of Hays and surrounding counties where the school was to be located. While there was opposition to the bill, with the support of State Senator J. B. Dibrell, it was passed and signed into law on May 10,1899. The schools purpose was to provide training and teach domestic sciences. Any students earning a diploma and teaching certificate from the school would be authorized to teach in the public schools. In October 1899, the San Marcos City Council voted to donate 11 acres of land at what was known as Chautauqua Hill for the school to be built on. It was not until 1901 that the Texas legislature accepted this donation, the building now known as Old Main was completed and the school opened its doors to its first enrollment of 303 students in September 1903. The San Marcos River rises from the San Marcos Springs, the location of Aquarena Springs, in San Marcos, Texas. The springs are home to threatened or endangered species, including the Texas Blind Salamander, Fountain Darter. The river is a recreational area, and is frequented for tubing, swimming. The river begins at San Marcos Springs, rising from the Edwards Aquifer into Spring Lake, access to much of the headwaters is restricted because of the delicate ecosystem and numerous rare species. The upper river flows through Texas State University and San Marcos and it is joined by the Blanco River after four miles, passes through Luling and Palmetto State Park. Near Gonzales it flows into the Guadalupe River after a total of 75 miles and this course is the first section of the Texas Water Safari. The history and naming of the river is somewhat unclear and it may have been discovered by Alonso de Leóns expedition in 1689, but some scholars believe they instead had found the Colorado or Navidad rivers. The convention came to call the first sizable river beyond the Guadalupe, however, at the time, the Comal River was often called the Guadalupe, and part of the Guadalupe often called San Ybón. In 1808, the Spanish established San Marcos de Neve, just south of present-day San Marcos and they had friendly relations with the Tonkawa Indians, but the hostile Comanche tribe forced them to leave in 1812. In 1998 and 2015, the river was affected by severe flooding, San Marcos hosts many events on the San Marcos River. The Texas Water Safari is an event that has run every year since its start in 1963 that uses canoe powered only by human muscle. This event uses the San Marcos River and the Guadalupe River spanning from Aquarena Springs in San Marcos to Seadrift and this event is actually composed of many events including an information seminar, the safari race, a preliminary race, and another short race. Racers must take food and provisions to last them the distance of the race. The Texas Water Safari is billed as the Worlds Toughest Boat Race, another event is the San Marcos River annual San Marcos River Clean-Up. Joseph Draper Sayers was the 22nd Governor of Texas from 1899 to 1903. During Sayerss term, the Galveston Hurricane of 1900 demolished that city, Joseph Sayers was born September 23,1841 in Grenada, Mississippi to Dr. David Sayer and his wife Mary Thomas. 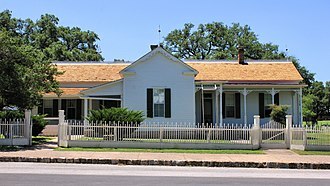 His mother died in 1851, and soon after he moved to Texas with his father and younger brother, the family settled in Bastrop, where Sayers and his brother attended the Bastrop Military Institute. When the Civil War broke out, Sayers joined the Confederate States Armys 5th Texas Regiment and he participated in the Battle of Valverde in New Mexico in February 1862, and was recommended for promotion for his bravery in capturing an artillery battery. Later that year he returned to Texas with his regiment before being sent to Louisiana and his actions during that conflict led to his promotion to major, and he became Greens chief–of–staff. Sayers was wounded again in April 1864 at the Battle of Mansfield, after Green died at the Battle of Blairs Landing, Sayers became the assistant adjutant to General Richard Taylor. After the war ended, Sayers returned to Texas and he opened a school and simultaneously studied law. He was admitted to the bar and formed a partnership with G. Wash Jones, Sayers entered political service in 1873, when he became a state senator in the 13th Texas Legislature. 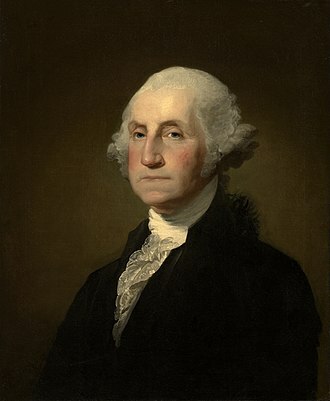 In his term, he helped reverse most of the legislation that had passed under the Radical Republicans. After his term ended in 1875, Sayers spent three years as chairman of the Texas State Democratic Executive Committee and he presided over the state Democratic convention in both 1876 and 1878. At the 1878 convention he was nominated to be lieutenant governor under Oran M. Roberts and Roberts differed on one key point, Sayers believed that public lands should be saved for homesteaders and schools, not sold cheaply to speculators, as Roberts advocated. In 1884, Sayers was elected to U. S. Congress and that year, he ran for governor, winning the election and taking office in early 1899. During his term in office, labor unions were exempted from antitrust laws and his term saw increased spending on education and social service institutions and outlawed railroad rebates. The Sun Belt Conference is a collegiate athletic conference that has been affiliated with the NCAAs Division I since 1976. Originally a non-football conference, the Sun Belt began sponsoring football in 2001 and its football teams participate in the Division I Football Bowl Subdivision. The 12 member institutions of the Sun Belt are distributed primarily across the southern United States, over the next ten years the conference would add Western Kentucky University, Old Dominion University, the University of Alabama at Birmingham, and Virginia Commonwealth University. New Orleans was forced out of the league in 1980 due to its small on-campus gymnasium that the Conference did not deem suitable for Conference competition, UNO competed as an independent before joining the newly formed American South Conference in 1987. After the 1990-91 basketball season, all members of the Sun Belt, except Western Kentucky, South Alabama, although the American South was the larger conference, the merged league retained the Sun Belt name. Central Florida left the following the 1991-92 academic year. Lamar, Texas–Pan American, and Jacksonville departed at the end of the 1997-98 academic year, Florida International University joined the Sun Belt in 1998, and the University of Denver was added in 1999. Louisiana Tech departed after the 2000-01 academic year and these new members gave the Sun Belt seven football playing members in their first season, as Arkansas State and Louisiana–Lafayette were already full members which sponsored football. Another Big West school, Utah State University, was added as a member in 2003, departed in 2005 with Idaho. In 2004, Troy University became a member until the Trojans joined the conference in all sports. In 2005, Florida Atlantic became a member until the Owls joined the conference in all sports. In 2006, Louisiana–Monroe joined the conference as a full member when the Warhawks left their former home. Longtime Sun Belt member Western Kentucky joined the Sun Belts football conference in 2009 after its Board of Regents voted to upgrade the schools program to Division I FBS. Founded in 1881 as The University of Texas, its campus is in Austin, Texas—approximately 1 mile from the Texas State Capitol. 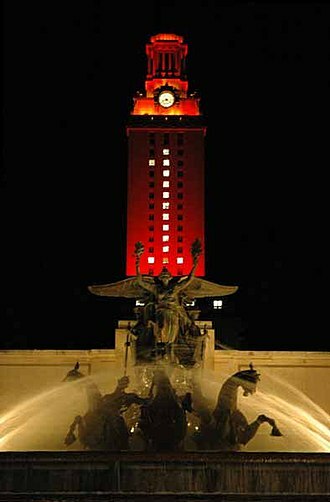 The institution has the nations seventh-largest single-campus enrollment, with over 50,000 undergraduate and graduate students and over 24,000 faculty, UT Austin was inducted into the American Association of Universities in 1929, becoming only the third university in the American South to be elected. It is a center for academic research, with research expenditures exceeding $550 million for the 2014–2015 school year. 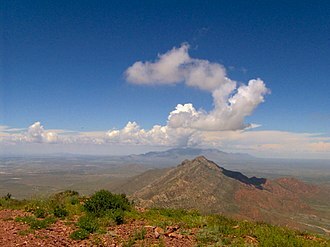 J. Pickle Research Campus and the McDonald Observatory, among university faculty are recipients of the Nobel Prize, Pulitzer Prize, the Wolf Prize, the Emmy Award, the Turing Award, and the National Medal of Science, as well as many other awards. UT Austin student athletes compete as the Texas Longhorns and are members of the Big 12 Conference and its Longhorn Network is the only sports network featuring the college sports of a single university. The first mention of a university in Texas can be traced to the 1827 constitution for the Mexican state of Coahuila y Tejas. Although Title 6, Article 217 of the Constitution promised to establish education in the arts and sciences. On April 18,1838, An Act to Establish the University of Texas was referred to a committee of the Texas Congress. On January 26,1839, the Texas Congress agreed to set aside fifty leagues of land towards the establishment of a publicly funded university, in addition,40 acres in the new capital of Austin were reserved and designated College Hill. In 1845, Texas was annexed into the United States, the states Constitution of 1845 failed to mention higher education. On February 11,1858, the Seventh Texas Legislature approved O. B,102, an act to establish the University of Texas, which set aside $100,000 in United States bonds toward construction of the states first publicly funded university. The legislature designated land reserved for the encouragement of railroad construction toward the universitys endowment, Texas secession from the Union and the American Civil War delayed repayment of the borrowed monies. The Texas State University System was created in 1911 to oversee the states normal schools. Since its creation it has broadened its focus and comprises institutions of different scopes. It is the oldest and third largest university system in Texas, the other systems of state universities are the Texas A&M System, the Texas Tech System, the University of Houston System, the University of North Texas System, and the University of Texas System. Is often described separately as a system component, Angelo State University in San Angelo, Stephen F. The Texas State University System saw its largest growth in 1995 when the Lamar University System with its four institutions was incorporated into the TSUS, the Texas State University System is headquartered in Austin. The system is governed by a nine-member Board of Regents appointed by the governor of Texas, the administration is headed by a Board-appointed chancellor based in Austin. 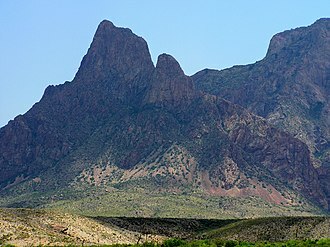 The system owns and manages a 9, 269-acre property encompassing much of the Christmas Mountains located adjacent to Big Bend National Park in southern Brewster County, the remote tract is regulated under strict conservation easements ensuring preservation in its natural state. The property serves as a classroom for the systems member institutions. The Board originally assumed authority over North Texas State Normal College, Sam Houston Normal Institute, Southwest Texas Normal School, the Legislature authorized the establishment of Sul Ross Normal College in 1917 and the purchase of the private East Texas Normal College founded in 1889. That same year, the Legislature authorized the renaming of the normal schools to normal colleges. Political struggles for the creation of Stephen F. Austin Normal College, further legislation in 1923 renamed the systems members again to state teachers colleges while the Board was renamed the Board of Regents, State Teachers Colleges. South Texas left the system in 1929 to be governed independently as Texas Arts, Sul Ross and West Texas received name changes in 1949 becoming Sul Ross State College and West Texas State College. North Texas would leave the system the year becoming independently governed North Texas State College. North Texas would become the campus of the University of North Texas System. Student governments in the United States exist in both secondary and higher education. A student government may be known as the student government association, student assembly, associated students, student senate, there is one instance of a government of the student body, at Iowa State University. At Yale University, the student government is known as the Yale College Council. Student governments vary widely in their structure and degree of influence on institutional policy. At institutions with large graduate, medical school, and individual college populations, some student governments have very large budgets, the student government at the University of California at Los Angeles had an annual budget of $39 million as of 2013. Elsewhere in the world, student governments are often known as student unions, not all American colleges and universities have a separate student government. Examples of such schools include Marlboro College, Shimer College, in addition, many US schools followed a student-faculty council model, with governance shared between elected representatives of the student body and the faculty. Alternatively, a model is followed. These structures often include elements which are not found in the federal government, in some cases, student governments follow a corporate model where offices reflect business roles such as Vice President of Finance, etc. Also, many universities with significant graduate and medical programs have separate student governments for the graduate and undergraduate student bodies. Similarly, multiple undergraduate student governments sometimes form to address specific facets of university decision-making, see Also, Student government political party A phenomenon that started during the civil rights movement, but exploding in popularity in more recent years, is student government political party. Nearly 64 percent of nearly 400 participating institutions of all types, of those 64 percent that have a student member,40. 83% have a student who has an official vote. Student governments tend to be chartered by the Board but, in the case of universities operated by a State. 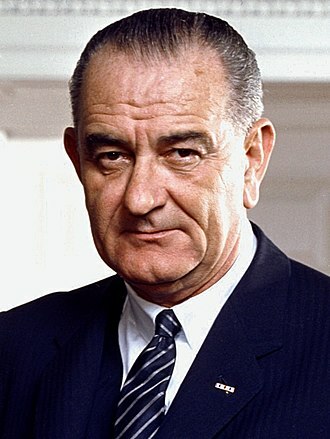 The Great Society was a set of domestic programs in the United States launched by Democratic President Lyndon B. Johnson in 1964–65. The main goal was the elimination of poverty and racial injustice, President Johnson first used the term Great Society during a speech at Ohio University, unveiled the program in greater detail at an appearance at University of Michigan. New major spending programs that addressed education, medical care, urban problems, rural poverty, the program and its initiatives were subsequently promoted by him and fellow Democrats in Congress in the 1960s and years following. The Great Society in scope and sweep resembled the New Deal domestic agenda of Franklin D. Roosevelt, some Great Society proposals were stalled initiatives from John F. Kennedys New Frontier. Anti-war Democrats complained that spending on the Vietnam War choked off the Great Society, the Great Societys programs expanded under the administrations of Republican presidents Richard Nixon and Gerald Ford. Kennedy proposed a tax cut lowering the top marginal income tax rate in the United States by 20%, from 91% to 71%. The tax cut significantly reduced rates in the lower brackets as well as for corporations. The gross national product rose 10% in the first year of the tax cut, Johnsons tax cut measure triggered what one historian described as the greatest prosperity of the postwar years. GNP increased by 7% in 1964, 8% in 1965, the unemployment rate fell below 5%, and by 1966 the number of families with incomes of $7,000 a year or more had reached 55%, compared with 22% in 1950. In 1968, when John Kenneth Galbraith published a new edition of The Affluent Society, disposable personal income rose 15% in 1966 alone. Federal revenues increased dramatically from $94 billion in 1961 to $150 billion in 1967, as the Baby Boom generation aged, two and a half times more Americans would enter the labor force between 1965 and 1980 than between 1950 and 1965. Racial segregation persisted in the Southern United States, the Civil Rights Movement was gathering momentum, and in 1964, urban riots began within black neighborhoods in New York City and Los Angeles. Denise M. Trauth is the ninth president of Texas State University. On June 11,2002, Texas State Board of Regents voted unanimously in favor of Trauth beginning her term as President, Trauth was born on May 20,1947 and grew up in Cincinnati, Ohio. She was born second of seven daughters, Trauth is currently married to Dr. John Huffman. Trauth and Huffman have two children together, Trauth currently resides in San Marcos, Texas. As of May 9,2011 Trauths base salary was $354,486, Trauth attended a Catholic girls school in her youth, where she discovered journalism. Her attraction to the arts took her to the College of Mount St. Joseph. After, she taught high school English and journalism in Michigan for two years, and eventually earned her masters degree in journalism at Ohio State University, following her masters, Trauth entered the doctoral program in mass communication at the University of Iowa. In April,1997, Trauth began serving as Provost and Vice Chancellor of academic affairs at The University of North Carolina at Charlotte, Trauth established the Faculty Center for Teaching, led the revision of the general education requirements and chaired an equity study on faculty salaries. Balcones Canyonlands National Wildlife Refuge. Interchange of Interstate 35 and State Highway 45 under construction in 2004. SH 45 was built on a fast-track basis with bonds sold in advance based on the projected toll revenues. Antique glass bottomed boat tours are available daily and last about thirty minutes. The Tower, completed in 1937, stands 307 ft (94 m) tall and dons different colors of lighting on special occasions. A glass bottom boat showing undersea windows on the Great Barrier Reef. President Johnson signs the Voting Rights Act of 1965. President Johnson signs the Social Security Act of 1965. The Sun Belt Conference headquarters are currently housed at the Mercedes-Benz Superdome.